There are actually three species of squirrels in Alabama: the Gray Squirrel, the Fox Squirrel, and the Southern Flying Squirrel. The first two are the most common and can be found throughout the state in urban and rural areas. The Southern Flying Squirrel is a little less common. It’s the smallest of the three species — with adults weighing only a few ounces. These are rarely seen as they are nocturnal, while the other two species, as most homeowners know, can be found raiding bird feeders or digging in potted plants pretty much all day long. Other than the damage the do to birdfeeders and planters, squirrels really don’t cause many problems for humans — unless they get into your home. These crafty little beasts can squirm though tiny holes and even chew their way into your home, where they like to build nests between walls or in attics. Not only are they annoying and mildly unsanitary, but these critters can be dangerous as they build their nests with hair, fabric, paper, and other scraps which can be very flammable. Then, of course, matters get worse when they decide to chew on electrical wires. And, of course, when one of them dies in your walls, the smell is far from pleasant. So, while they are cute and fuzzy and typically harmless, there are many reasons to keep squirrels from getting into your home. You can do so by closing up any visible spaces in your exterior walls, foundation, or windows. They often get in through ventilation systems, as well, so make sure you inspect your vents and ducts carefully for holes. 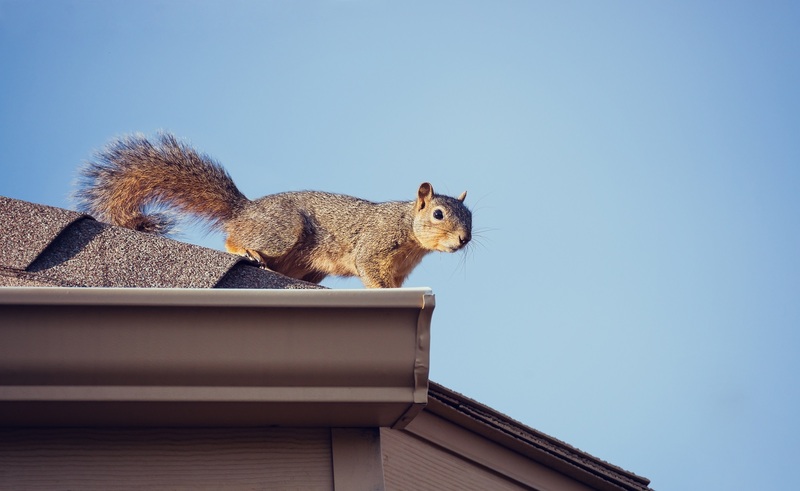 If you do find yourself with an unwelcome resident squirrel — and often a family of them — it makes sense to call a licensed wildlife professional to remove them. You can purchase traps and other devices designed to help you rid your home of squirrels, but most are ineffective and in some areas it’s illegal to trap squirrels. What’s more, even though squirrels aren’t dangerous, any trapped or threatened wild animal can be aggressive. Even if you did capture a squirrel, you’d need to transport them at least 15 miles away from your home, otherwise they will simply return. Contact Scott Long at Alabama Wildlife Pros for fast, humane removal of nuisance squirrels or other wildlife pests.